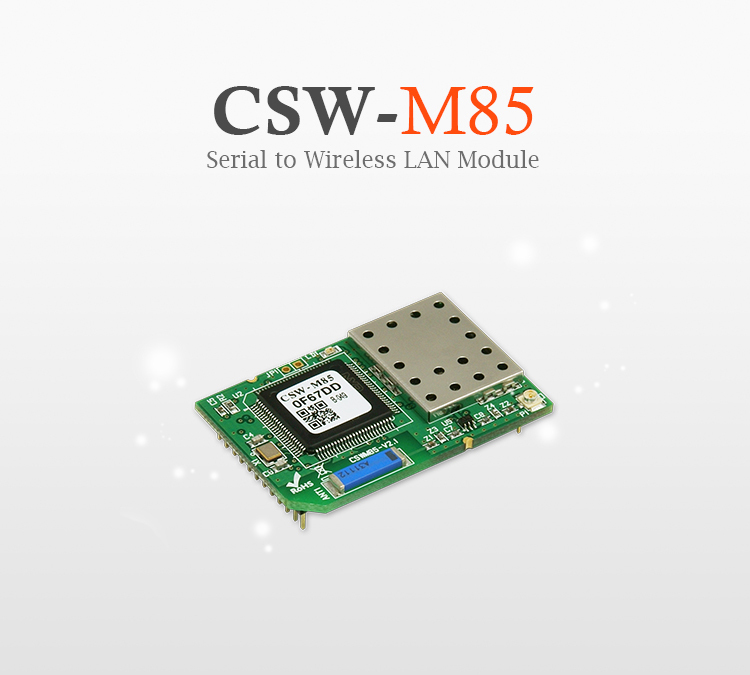 CSW-M85 is an embedded serial to WiFi module that enables you to add wireless networking capabilities to your industrial equipment via UART. So by applying this serial to WiFi module, you can control and monitor your serial devices from anywhere in the world over WiFi. CSW-M85 comes preloaded with Soft AP so that it can simply be linked to any devices with WiFi by operating as an AP. Thanks to this feature, it makes it easier for you to construct network with mobile devices such as smartphones, tablet PCs and laptops where WiFi network is inaccessible. This serial to WiFi module offers an enhanced security protocol, WPA Enterprise for business purpose to ensure high protection and reliability. CSW-M85 also provides Wireless RSSI mode that enables you to directly check the wireless signal strength through LEDs. With infrastructure and Ad-hoc network provided, this embedded serial to WiFi module can be used for various wireless applications: POS System, Automobile Diagnosis, Survival Game, etc.